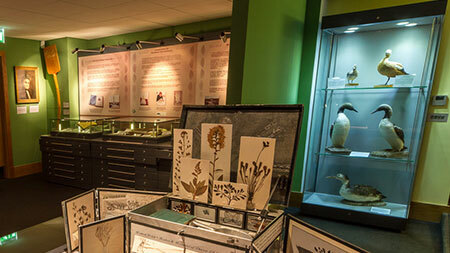 Caithness Horizons Museum houses a permanent collection that tells the story of the county of Caithness from 416 million years ago to the present day including the Picts, the Vikings and the history of the Dounreay Nuclear Research Establishment. Within the building is our temporary exhibition gallery with a changing programme, a cafe, gift shop and visitor information. The Museum is home to the Thurso VisitScotland office which is staffed seasonally. During the Winter months, the Museum staff assist visitors with their enquiries. There is always lots of exciting things happening at Caithness Horizons which we regularly document on here and on our Facebook and Twitter pages.